"Arrived Promptly, Great Customer Service,"
"Very Fast, Cheaper Than The Original Quote, Did A Great Job!" "Explain Exactly What Was Happening, Was Friendly And Completed The Job In A Very Efficient Manor." 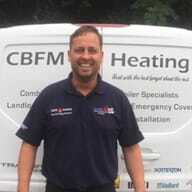 "Very Experienced, Agreeable, Sensible And Fair"
"Kept In Touch When On The Way So Knew Exactly When He Was Coming And He Did A Great Job"
Need a Plumber or Appliance Engineer in Gateshead?